Meraki; To do something with soul creativity and love, to put something of yourself into your work. Established in 2014, Kate and Whitey wanted to create a salon with good vibes and positive energy. A modern, fashion forward, top of the range salon with the best customer service possible based here in Traralgon. A place where our clients can relax, trust and feel the upmost care for their hair under our highly trained, skilled, bubbly staff members. 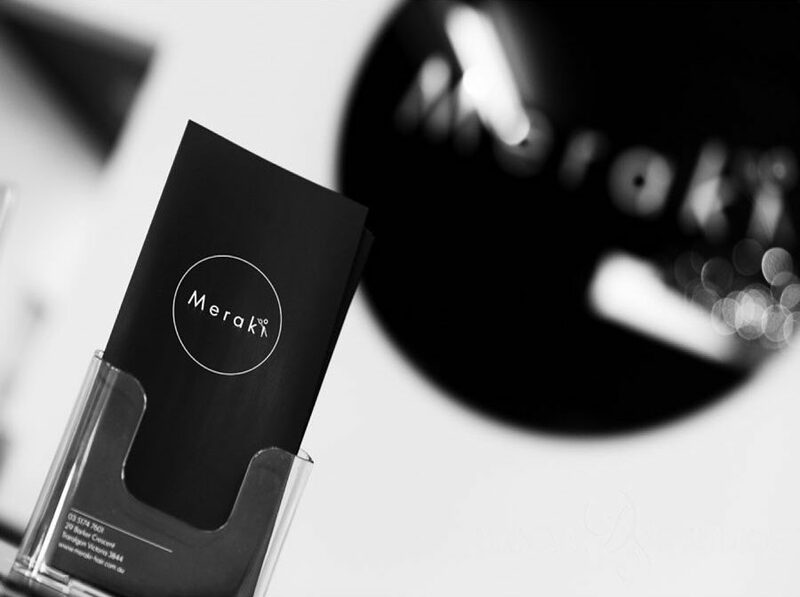 Meraki prides itself on providing a 5 star experience to its guest, whether your coming in for a hair service, men’s grooming and barbering service or our make up services we can guarantee you’ll leave feeling amazing. Each stylist, make up artist and barber specialises in their own niche market, offering a truly personalised service to clients. At Meraki we only offer premium hair products to coincide with our hair services. Products including Kevin Murphy, Olaplex, Evo Fabouloso and Modern Pirate which means we are providing your hair nothing but the best. Come experience the Team Meraki vibe for yourself. so professional and love the look of the place! 5 stars isn’t enough for this place. I can’t wait to go back and hopefully play with more fun colours. We now offer the ability for you to get that dream hair that you want now and the possibility to pay it off over time INTEREST FREE!